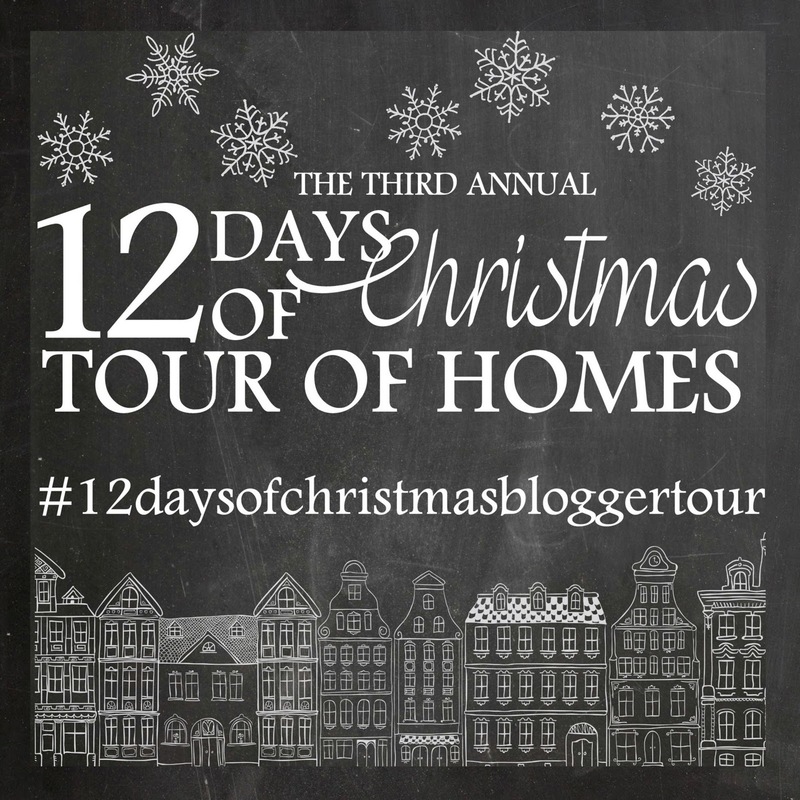 as part of the 12 Days Of Christmas Tour Of Homes hosted by Jenny at Evolution of Style. 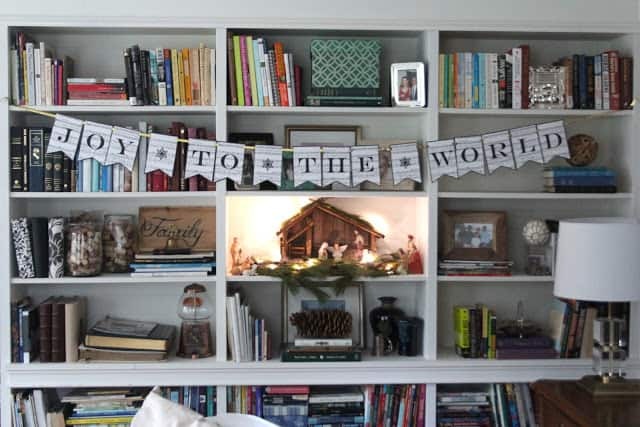 I have loved seeing how all the bloggers on this tour celebrate this joyful season in their beautiful homes! It’s been such fun to virtually visit and share a little Christmas cheer! the soon-to-be winter wonderland of Massachusetts. We bought a diamond in the rough 5 years ago and have been updating it slowly but surely. I decorate really simply for Christmas anyway, but throw in some carpentry/tiling/painting/serious mayhem and mess-making in the form of a fireplace remodel that we are in the midst of, and I’m taking “simple Christmas” to a whole new level this year!! So anyway, come on in! 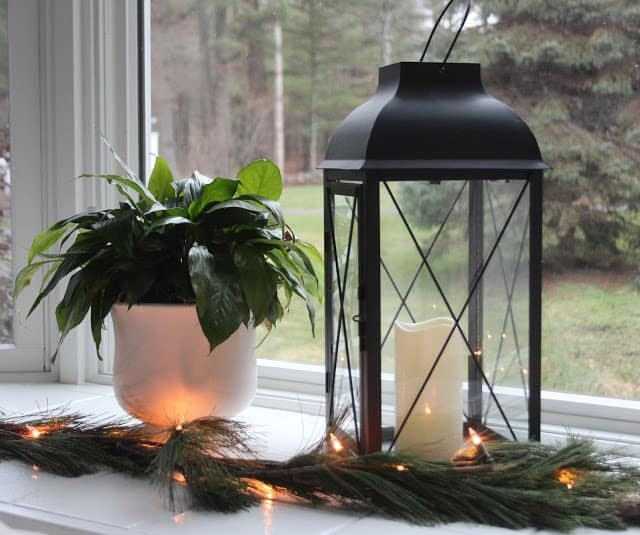 I love to use fresh evergreens from our yard here, there and everywhere starting with the urns at the front door. 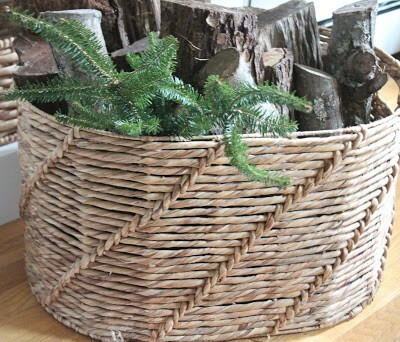 Here is a great tutorial for how to put together an evergreen planter that uses the “clock” method I learned years ago. Another trick for filling your outside planters is to stuff the bottom of the planter with newspaper, then cover with dirt, to give your evergreens a little height. 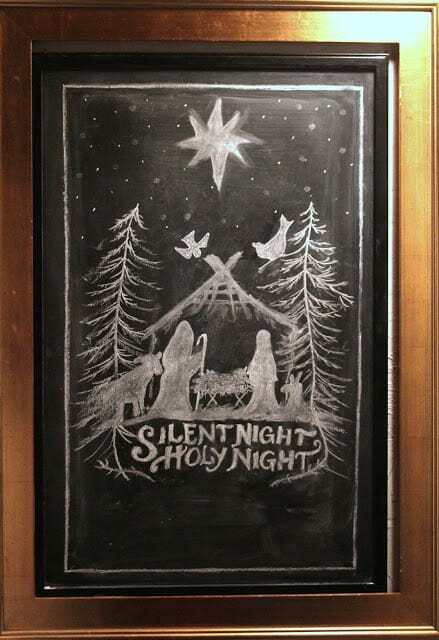 Our family usually enters the house via the little mudroom in our garage, where I have this big chalkboard I like to change up seasonally. The original by Kristen of Ella Claire Inspired is really lovely and is free to print. Thank you Kristen for sharing your artwork! the real reason for the season as they come and go. Inside it’s all about the fresh greens and twinkling white lights! I love those little battery operated strands of lights! 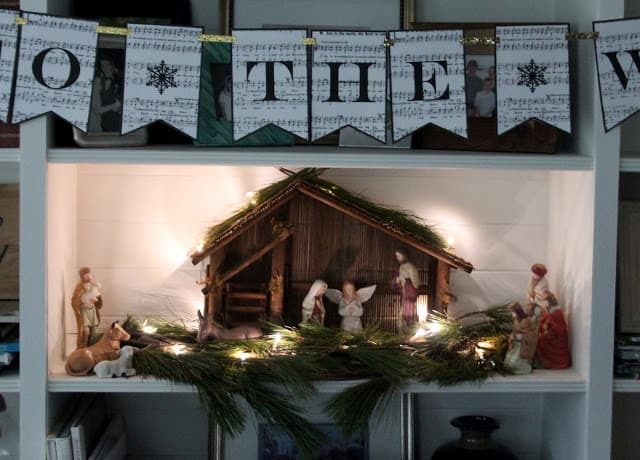 I use them on our three bay windows with pine garland, and they are also perfect for the the nativity we set up in the wall o’bookcases in our living room that I built for a season of the One Room Challenge. 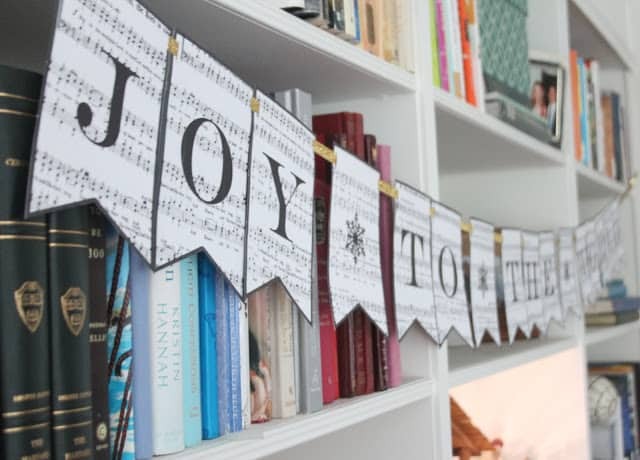 The banner is another free printable from the blog From The Carriage House! 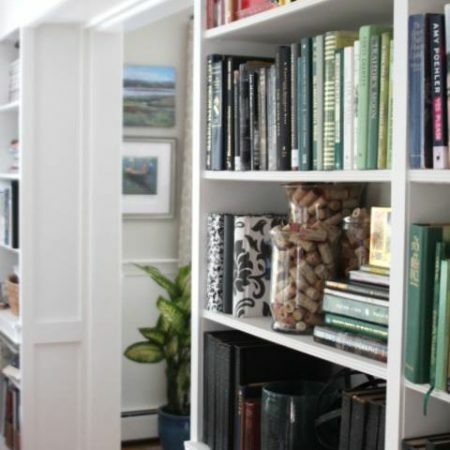 The bookcases are in our TV-less living room which we all hang out in for reading, lounging and entertaining, and the little white lights add a little Christmas spirit to that room. We also have a smallish family room where the tv lives. 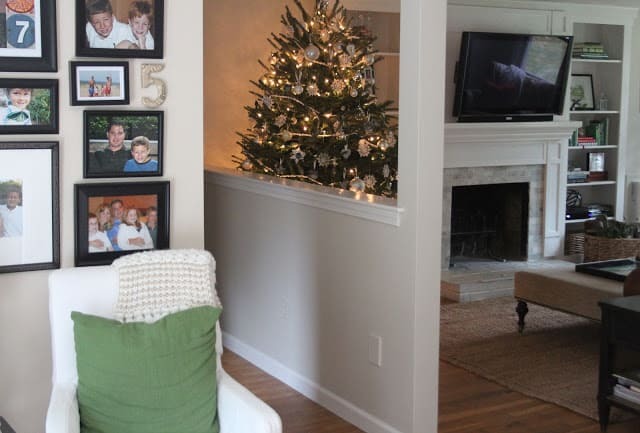 This year thanks to our fireplace makeover, we were able to put the tree in there. 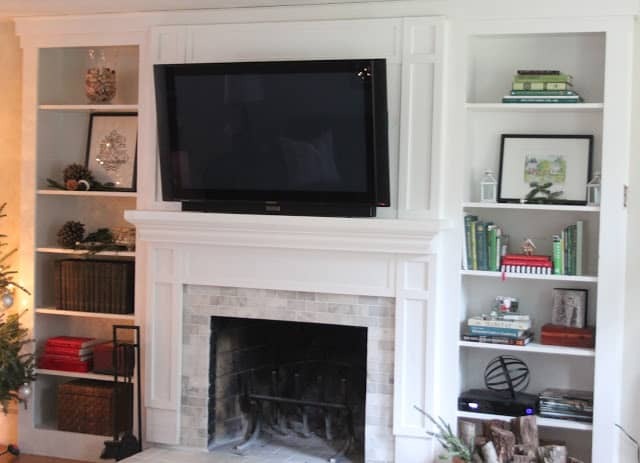 Just last week we mounted our tv over the fireplace (gasp!) and although it feels ENORMOUS and not so attractive to me (but AWESOME to my husband and boys for Patriots games!) the huge benefit is that we have so much more floor space in this room now! I hemmed and hawed over the decision to mount the tv but it has truly changed the whole room and I’m so glad we finally did it! It’s been such a joy to have a fire going, my family all hanging out together to watch a game or The Voice, and be able to enjoy our tree too! Here is a sneak peek of the fireplace makeover in progress! I still need to install crown moulding, doors for the lower two shelves of the bookcases, a new hearth surface and a bit of tile trim but that’s a story for another day. We are already loving it, it has completely changed the feel of our house! 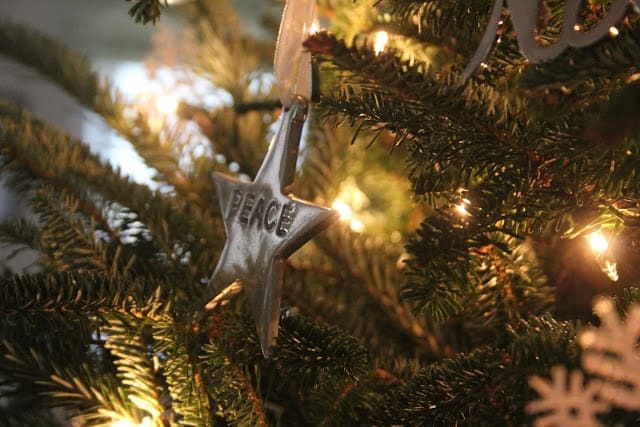 Besides the tree I like simple little touches that make this time of year feel special. If I’m home before everyone else I light candles, turn on Christmas music, and diffuse peppermint essential oil so everyone can walk in the door to a happy joyous place. These are the little things I hope my kids remember fondly when they are all grown up. I gave Mark a pewter ornament with the year on it on our first Christmas together and we have one for every year since, as well as engraved ornaments for our kids and other special events. 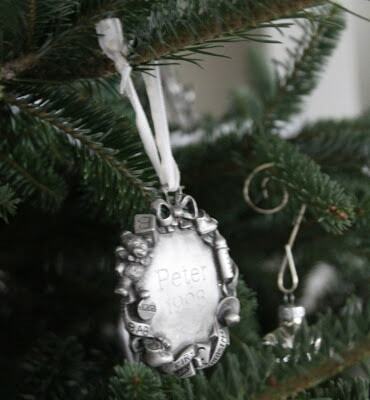 Someday God willing our whole entire tree will be filled with a lifetime of pewter ornaments! 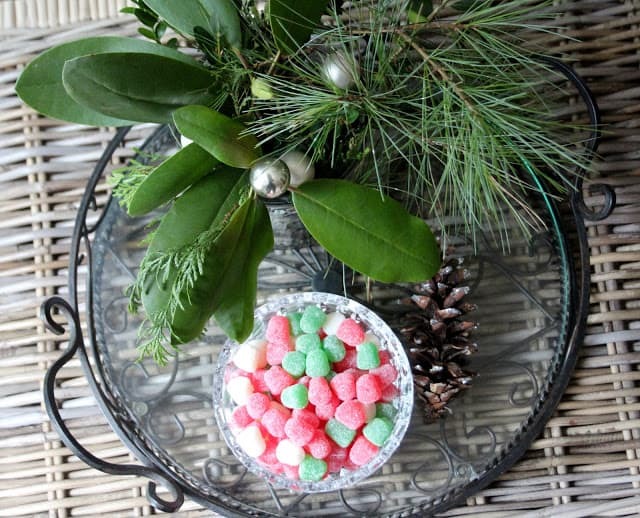 This little seating area in our kitchen is a favorite spot for family and guests alike and just a few sprigs of evergreens and a bowl of gumdrops make it feel festive. I love that we can see the tree from the kitchen. 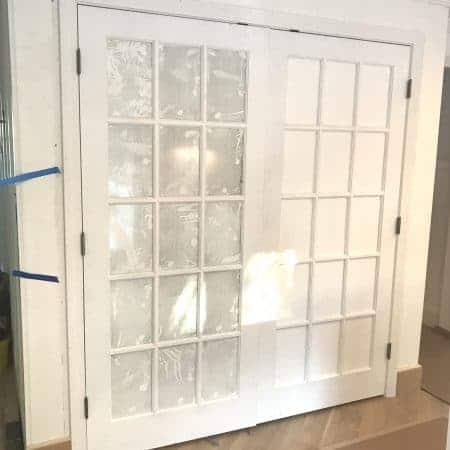 Our next big project after the fireplace remodel is to give that half wall a makeover too and possibly remove that post if it’s not load-bearing, but first, time to slow down and enjoy the Christmas season! Thank you so much for stopping by here for a visit! I loved having you over and wish you and yours a very happy Christmas! Today two of my nearest and dearest are celebrating special days and Kris of Driven By Decor is also sharing her gorgeous and inspiring Christmas home, so be sure to pop by and show these beautiful ladies some love!! these links will take you straight there! Tomorrow we’ll be touring here…..
…..and next week we finish up our tours with these fabulous blogs! On December 15 we’ll have a look back at all the tours and then it’s your turn on the 16th!!! I hope you’ll join in the fun and share your own home! Link up on any one of our blogs and it will appear on all 18 of them. 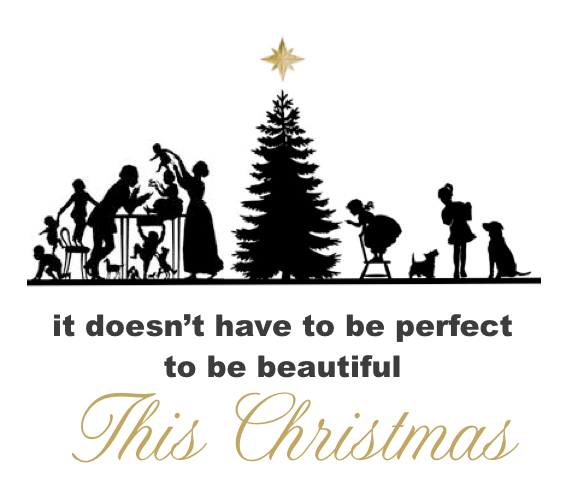 I can’t wait to see Christmas cheer in your home! I’m sharing at the Nester’s, come join me! This is filled with so much love…your home is like a big hug. I love the special pewter ornament idea. Where do you get them. Wish I had done this early on…but better late than never. Thanks for the pretty guided tour. So warm and cozy Lisa! I love it all 🙂 You're porch is perfect, and the fireplace and surround makeover looks awesome! Totally changes the whole room for sure! Merry Christmas Lisa! Beautiful Lisa! I finally got pics posted yesterday. Those urns are stunning! 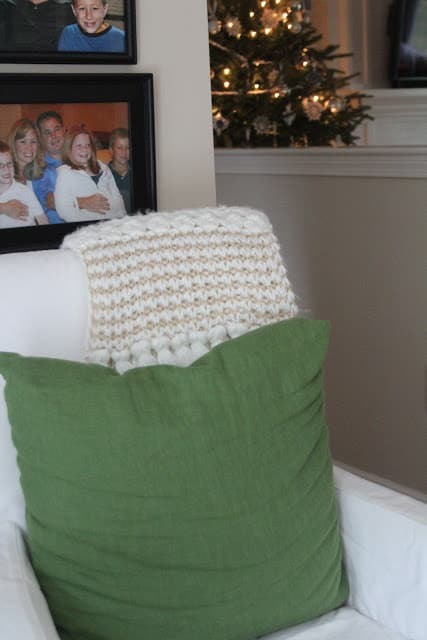 I'm with you on feeling the simplicity this year, but simple or not your home is so warm and festive! Lisa I love your home and your fireplace remodel is going to be beautiful. 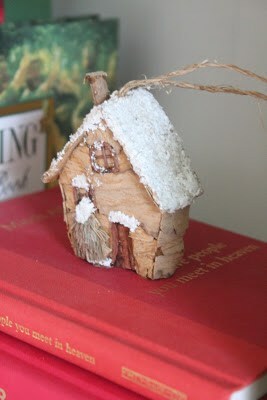 I love that you use organic elements from your yard combined with meaningful ornaments and treasures. That is how we do Christmas at our house as well. Your house is absolutely gorgeous on the outside. We used to travel to your state on antiqueing trips twice a year. 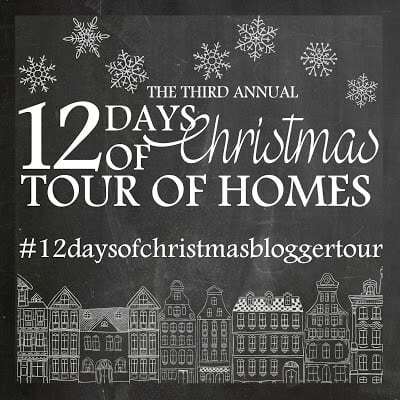 Also a belated thank you for the wonderful graphic you did for the blogger tour. Happy Holidays!! So beautiful, Lisa! I love the transformation of the room. Your tree is just lovely… and the chalk art- stunning!!! Every detail is gorgeous! 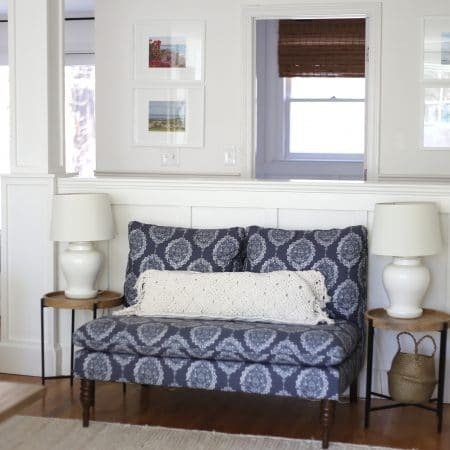 Oh my Lisa, your home is just exuding with warmth and coziness! Not only is everything so beautiful, I feel the love in your home! The greenery you added all around especially on your front door is just perfect, how I wish I could do something like that! I'm definitely copying that for next year! 😉 Great job on your fabulous new fireplace, it was worth all the wait and effort for sure, I love how you can create a lovely Christmas home without overdoing anything! I need to learn a lot from you (You know me, Mrs. Over-the-top sometimes)! I am certain your home will be filled with lots of merriment and love this coming Christmas season and New year! 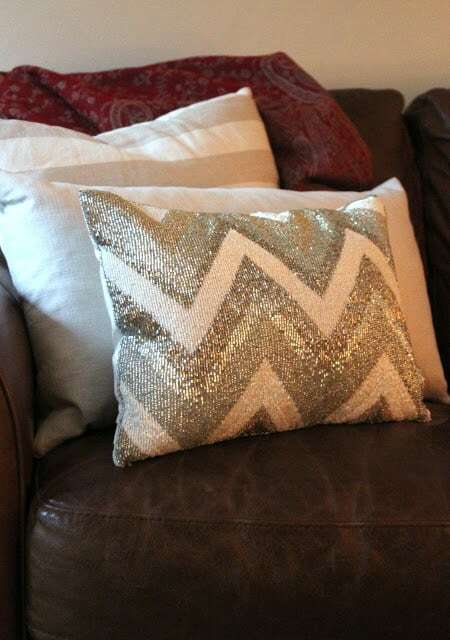 I'm so honored to share this Blogger home tour with you dear! CHEERS! Beautiful Lisa! 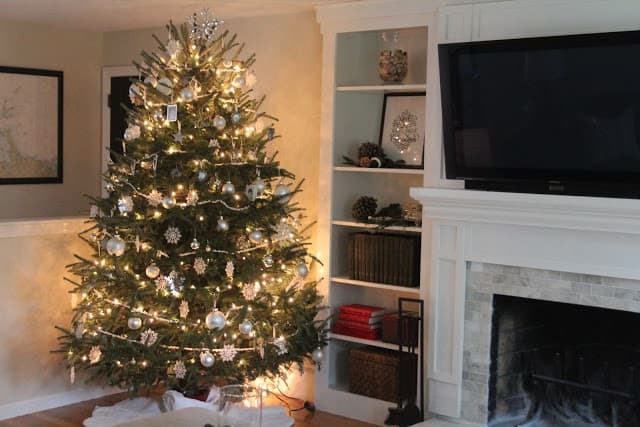 Your home looks so cozy and I love the tradition with the ornaments. The nativity scene looks perfect nestled on your bookshelves. Really enjoyed being part of this tour with you!! 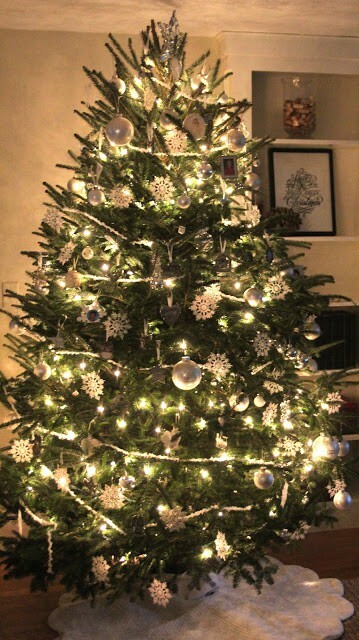 that tree is a STUNNER and i love your green entry! so welcoming! 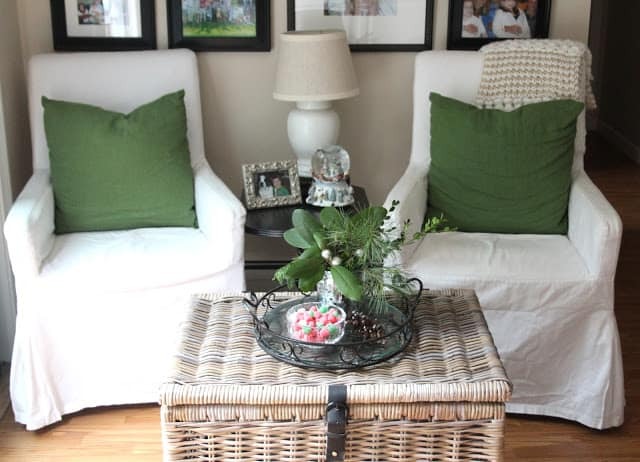 that last shot of the chairs with the green pillows might be my favorite- a simple color touch but it makes such a statement to me! Thanks for the night time laugh right before I got to bed… bird/trout… ha ha ha!! I think your drawing looks lovely. 🙂 I LOVE your porch so much, and YOUR FIREPLACE! Girl, you did GOOD! 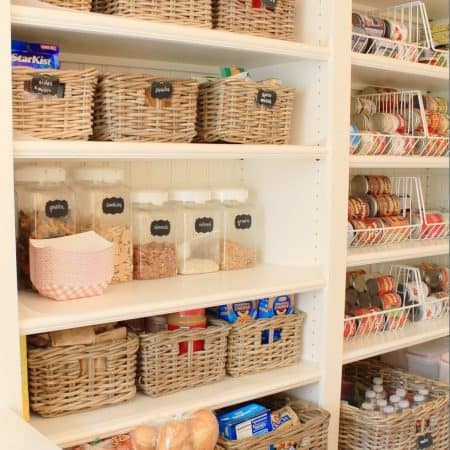 All of the personal touches around your home are so sweet and special. Everything looks wonderful! Your fireplace!!! Unbelievable girl – you astound me! 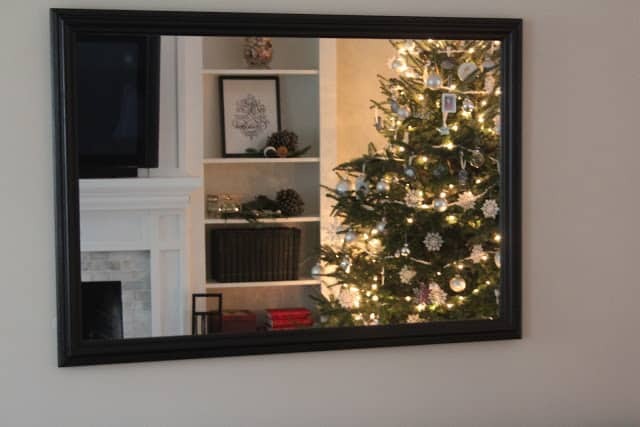 What a difference that has already made to your space and I love that you've got tons of room for your lovely Christmas tree. 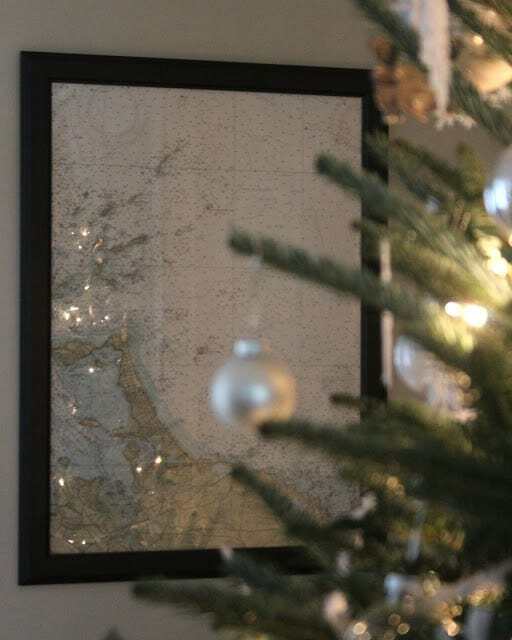 Love all of your simple holiday touches – just enough. And thanks for the sweet Bday wishes – you're the best! 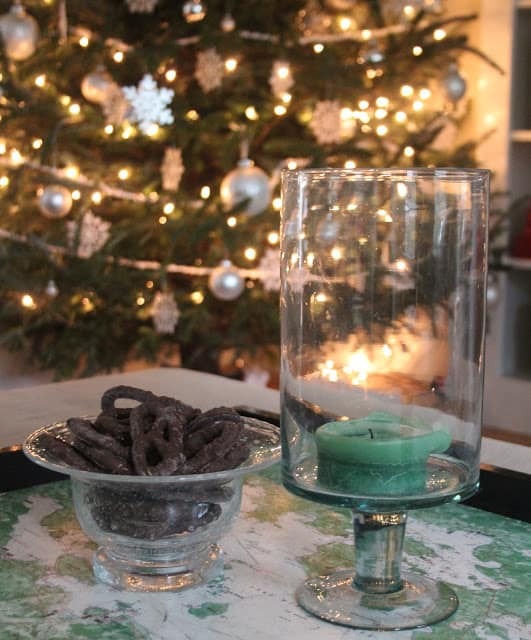 When I come home I do the exact same thing…candles and Christmas music. It just sets the mood with the Christmas decor and lighting. Your home is a beautiful mix. Love your front door so much and that tree is so pretty. 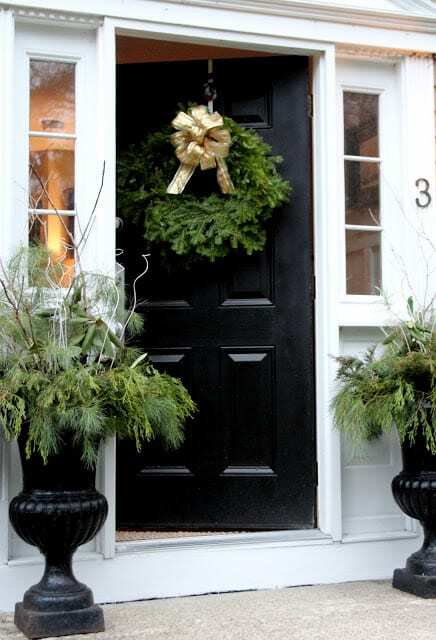 Lisa everything looks so Christmas perfect starting with your front door! I love all your little touches and the New England feel of it all. I hope you and your family enjoy the season and have a very Merry Christmas! Very pretty Lisa. 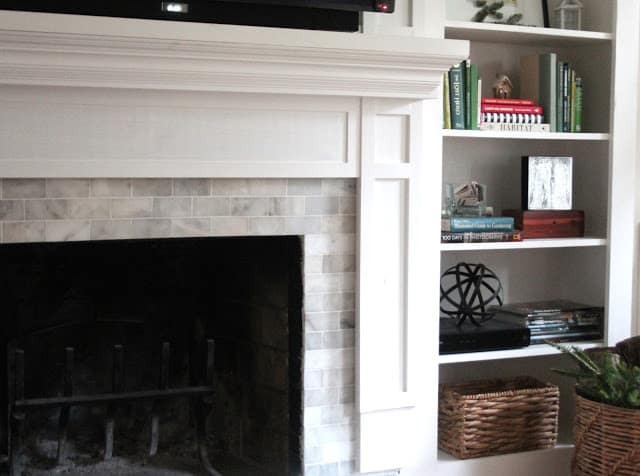 Love your fireplace makeover. Happy Holidays! Your home is so inviting Lisa! You did a beautiful job of making everything look so festive and special! I also love your fireplace!! So nice that you used fresh greens and I like how you did simple things like tuck greens in with the logs. Your personality shows through in how you decorate your home and I am sure your whole family is enjoying their gorgeous home! 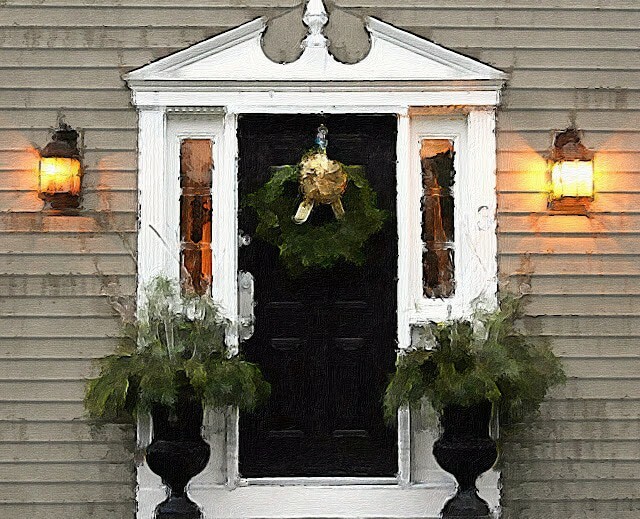 Looks wonderful, I love your front door and urns. Perfect!!! So warm & beautiful Lisa! I love all the white and silver in your decor and all the greenery. It is a true winter wonderland!! Have a very Merry Christmas Lisa!